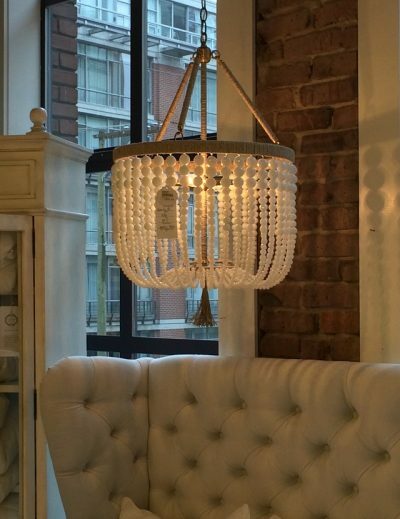 Beaded chandeliers catch your eye? 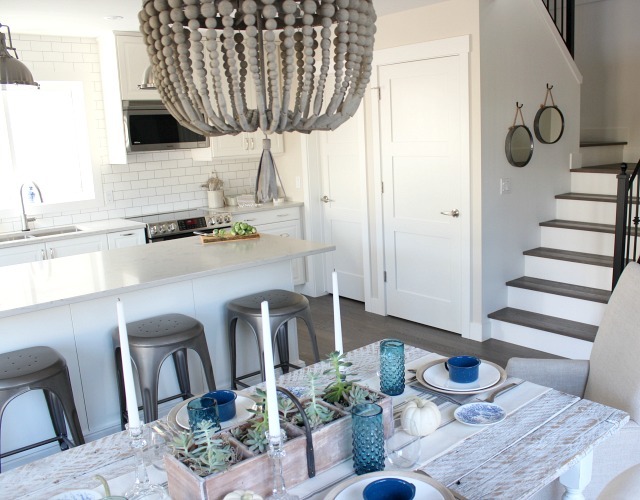 I’ve rounded up some of my favourite save and splurge options, including the light fixture we selected for our dining room! Last fall, nearing the end of our main floor renovation, we decided to get away. After months of dust, noise, long hours, scheduling conflicts and decision-making overload, we simply needed a break from it all. Been there? One of our go-to cities for extended weekend trips is Vancouver. It’s a short flight from where we are and it’s a fairly easy city to navigate. I’ve probably been there a dozen times for work and leisure, and it never seems to disappoint. It’s even where I celebrated my big birthday thanks to my husband. For me, a change of scenery is often what I need to feel inspired again when I’m in a slump. Sometimes we spend too much time in our own little worlds that everything starts to feel a little beige. I happen to like beige, but shaking things up and adding a little colour is what’s needed at certain, let’s say, challenging times. Are you following me? 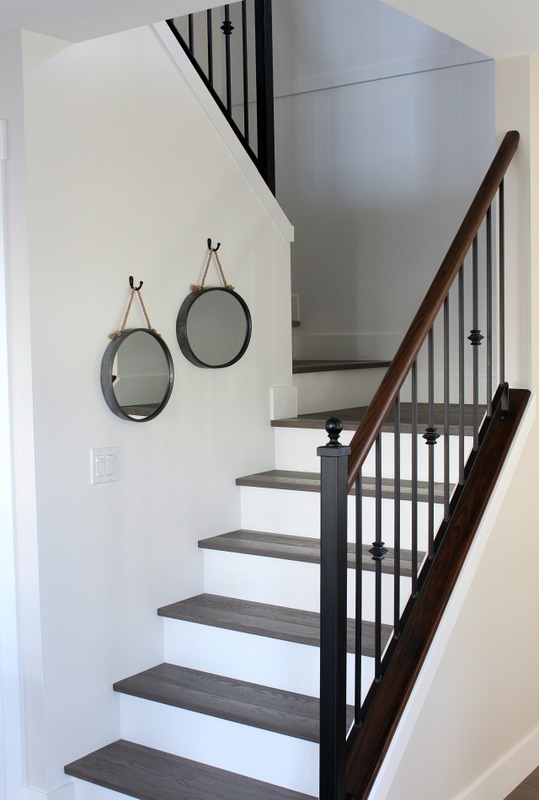 Prior to our little excursion, I had finalized all of the paint colours, tile selections, flooring, trimwork and several other finishes for our kitchen, laundry room, entryway, living room, staircase and more. It was exhausting! Most of those decisions were what I’d call safe, since our style tends to be a little more on the classic side, and we prefer to keep our options open when it comes to resale. But there’s a part of me that likes to take decor risks too. I do appreciate the right use of colour, and I’ve been known to add a quirky lamp and patterned pillow or two to a space to give it a bit of an edge. This time, though, I seemed to have lost my confidence to take any sort of plunge. I was over-thinking everything. Although we still had a few decisions to make related to things like hardware, lighting, and grout colour before leaving on our trip, we agreed to press pause on the renovation button. 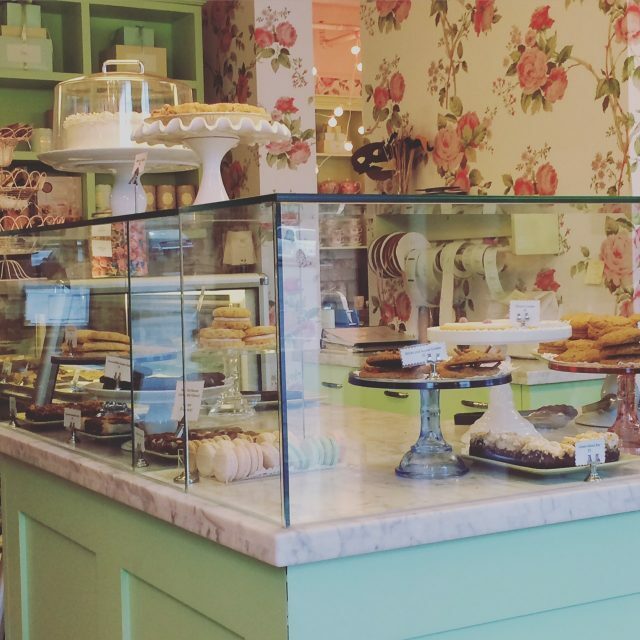 You know, sip coffee & enjoy a treat at Butter Baked Goods, take a leisurely stroll through Granville Island… Basically, clear our heads. Note: Some of the links in this post are affiliates, meaning I’ll earn a small percentage of any purchase made with no extra cost to you. Thanks! But something started to happen around Day 2. As I popped into one of my favourite home decor stores while my husband met a friend for coffee, my passion for interior decorating was suddenly restored. (If you’ve never been to The Cross, it’s definitely worth the trip.) It was as though I had wind under my sails again. As with any decorating project I immerse myself in, I went home with my inspiration pics and began looking for beaded chandelier options that would work perfectly for our space. These ones were close, but the hefty price tags meant the entire kitchen lighting budget would be blown. Yikes! I also wanted something that would tie in our reclaimed wood dining table. I was thinking something a little less sparkly, maybe wood. Eventually, I discovered this wood beaded chandelier, which happened to be heavily discounted at the time, so I snapped it up. Don’t you love it when that happens? For me, it was still a splurge. But after looking at several options (and even considering making my own), it was well worth the cost for the character it brought to the space. It seemed to cozy the whole area up too. I like that it’s still neutral meaning I don’t have to worry about it clashing with any tablescapes I put together down the road. It fit perfectly with the indigo blue table decor I added earlier this fall. Selecting a light fixture like this one may be a little daring to some, but this is far easier to change out than something more permanent like backsplash tile or a countertop. My advice is to keep those types of finishes classic for longevity. Looking for a new light fixture? 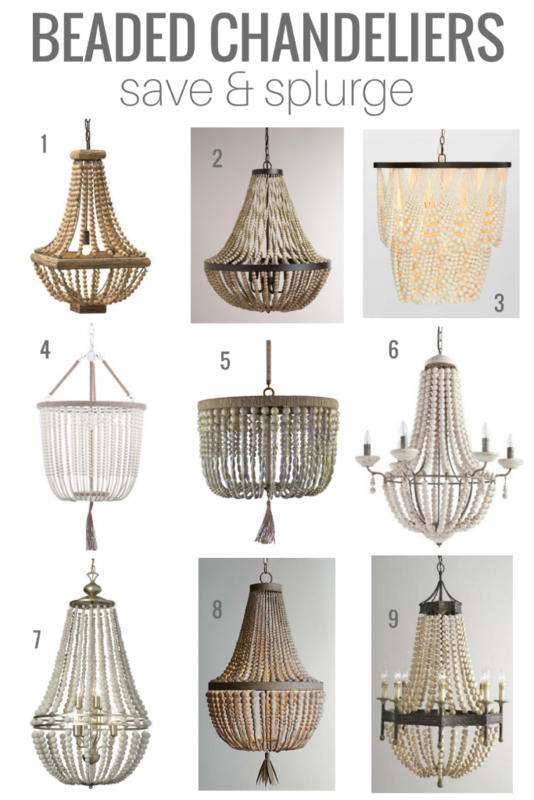 I’ve rounded up some of my favourite beaded chandeliers in various styles and price points. How much light do you require? Some options have only one light bulb or cast a smaller amount of light than usual because of the placement of the beads. Our kitchen is bright, so this wasn’t a big concern. I do plan on adding a table lamp on a nearby cabinet down the road for flexibility. What’s your ceiling height? Many beaded chandeliers hang low, especially if they’re an empire shape or two-tiered. For lower ceilings, they work best hung in a stairwell or over tables, islands & beds. Higher ceilings allow for more options. What are your table dimensions? As with any light fixture, it’s important to get the scale over your table right. A good rule of thumb is to hang it 30-34″ above the table (top of table to bottom of fixture) for standard height ceilings, and it should allow for at least 6″ of space from each edge. How much do you want to spend? 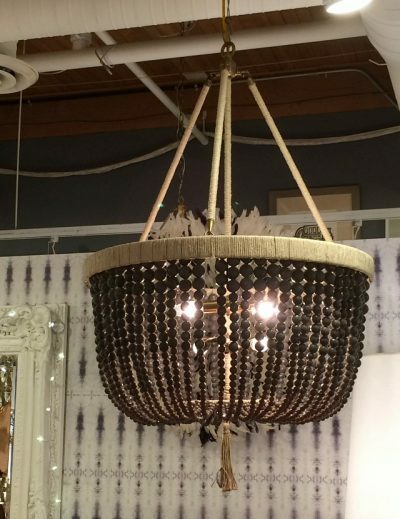 Beaded chandeliers tend to cost more than other fixtures since they’re labour intensive. Most beads are hand-strung and a big part of the chandelier is put together manually too. To save, look for options where the beads aren’t made from semi-precious stones (perhaps wood instead) and the finish is painted instead of a higher-cost materials like antique nickel or brass. These factors will save you substantially. So, all in all, a big lesson learned. I’m thrilled with my light fixture choice! Next time I’m having a difficult time making a decision about anything, I’m stepping away for a bit. Seems counterproductive, but it really isn’t. Breaking away from all the noise allows you to see the beauty in the silence. By the time we got home from Vancouver, I had also decided on our kitchen cabinet hardware. May not seem like anything big, but there are so many styles & finishes, and then deciding where to mount it all is a whole other thing (more on that to come)! Working on any home improvement projects of your own? 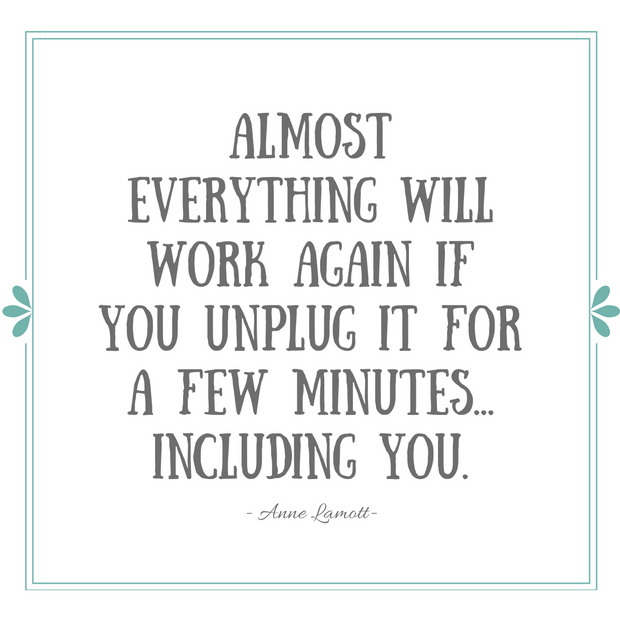 What are you struggling with? 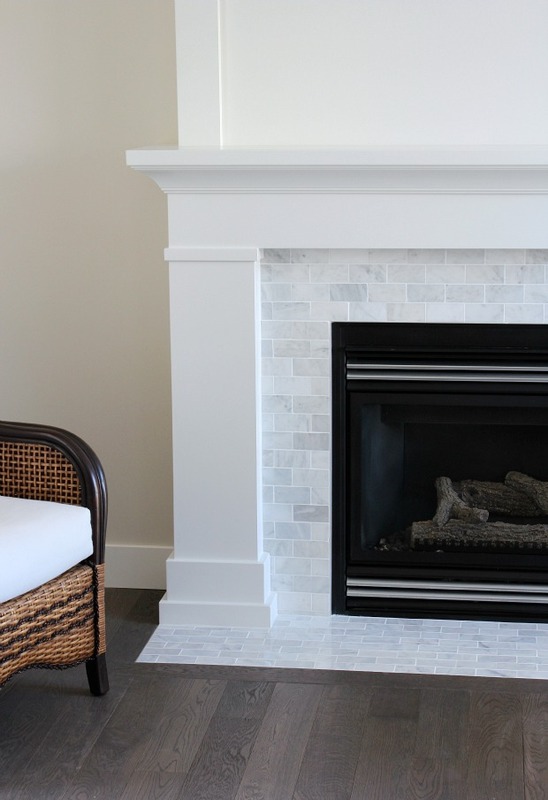 Would you like more renovation ideas like these sent to your inbox? Click Here to Subscribe! I am thrilled to have found your blog. We have so much in common. I too am a former…now retired teacher. I followed my passion and have become a decorator. I too feel so fortunate to be living my dream as we live on a dirt road surrounded by nature. Slowly but surely our renovation projects are being completed. I’ve been researching kitchens……I LOVE YOURS! It”s perfect!!! All good choices! 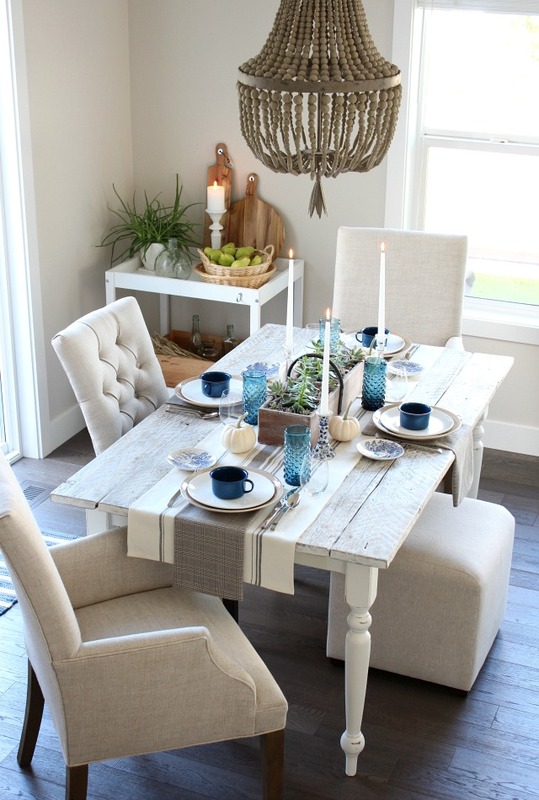 Your farmhouse dining table with the wood top is fabulous! 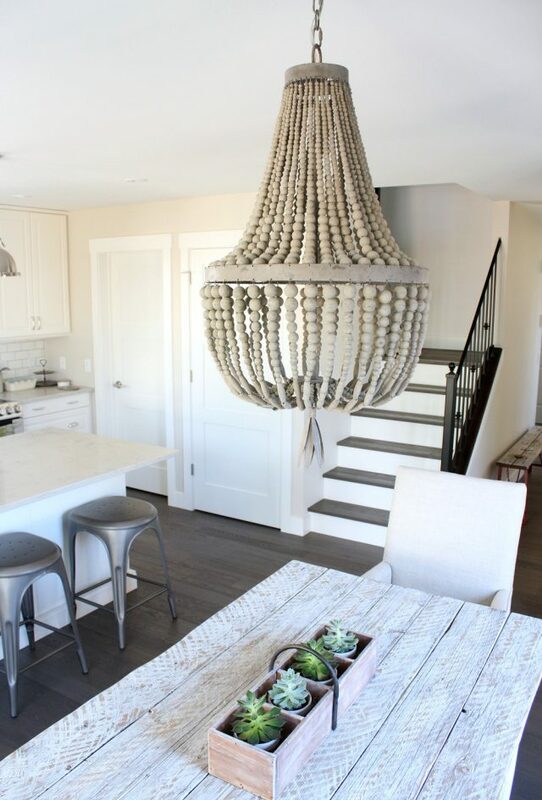 The wood beaded chandelier works perfectly in that space. Thanks for the inspiration and posting! “like” from Belle Escape!